McQuarrie School has a new heroine. All hail the puppet princess with the plaits! 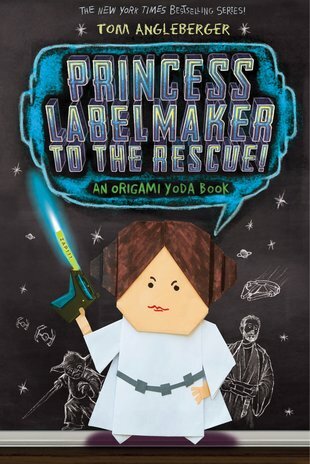 Yup: the awesome Origami Yoda series is making way for the mysterious Princess Labelmaker. But she’s not the only warrior to join Dwight’s fight for right. As the war against the FunTime Menace (aka test prep) rages on, our heroes find a surprise ally in Jabba the Puppett. Then they gain an even bigger and more surprising ally: Principal Rabbski! Will their old enemy join the Rebellion? Or will she turn into Empress Rabbski, Sith Lord?